As the climate continues to challenge us in California, once again we lost our blackberry farmer's crop of Obsidian Blackberry, and we went on the search for a new variety. 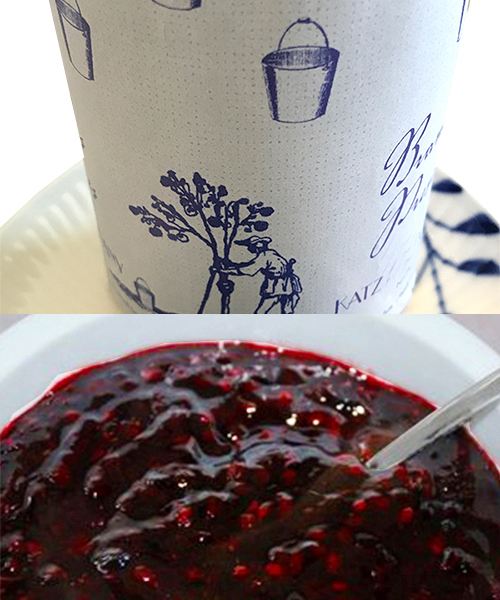 Turns out our farmer friend, Javier, who grows the marvelous strawberries we use, started growing the Prime Ark variety of Blackberry, and taking some of these midnight berries back to the kitchen for a little test cooking, I realized our savior was right under our noses the whole time! This variety is a bit more intensely flavored than the Obsidians, and they hold much of their shape in cooking so the finished KATZ Blackberry Preserves are fully packed with nicely set pieces of fruit and a balanced sweet flavor that are ready to slather on as a topping on some rustic whole grain toast, or a bagel with some cream cheese which would be the perfect foil for these precious preserves. These do have seeds, a natural part of blackberries!